GRENOUER is a Heavy Metal band from Saint Petersburg, Russia, founded in 1992 by vocalist Andrey Ind and guitarist Alexander Motor. 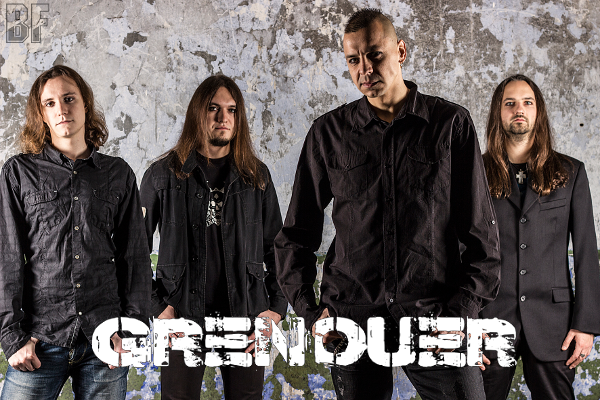 Originally playing a conventionally extreme form of metal, GRENOUER gradually introduced melodic elements into their expertly crafted songs resulting into the totally unique form of heavy metal music they now produce. 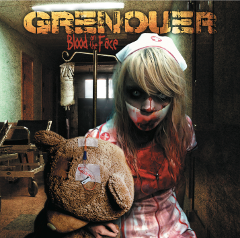 GRENOUER signed with the legendary Mausoleum Records late 2012 and their 7th album “Blood On The Face” was released on May 10th 2013 in Europe, and will be out on July 9th in North America. “Blood On The Face” was produced by Dualized & Eddy Cavazza (Mnemic), Anssi Kippo (Children Of Bodom) and Joonas Koto, and mastered by Mika Jussila at the Finnvox Studio. Just as Peter the Great, expanded the Tsardom of Russia into a huge Russian empire that became a major European power, GRENOUER aspires to become a dominating force in global heavy metal, and they have the potential. If you are a fan of Linkin Park, Seether, My Chemical Romance, Stone Temple Pilots and 30 Seconds to Mars, you sure will like it.